Author and publisher Patricia Borlenghi of Patricia Press will be hosting this very popular event for book lovers in the wonderful Mistley Kitchen, a well renowned cookery school located in a fine Georgian house in the ancient port village of Mistley. Patricia will interview two writers: Glyn Maxwell and Anton Gill. Glyn Maxwell is a poet and a playwright. He has also written novels, opera librettos, screen plays and criticism. His nine volumes of poetry include ‘The Breakage’, ‘Hide Now’ and ‘Pluto’, all of which were short-listed for either the Forward or TS Eliot prizes. 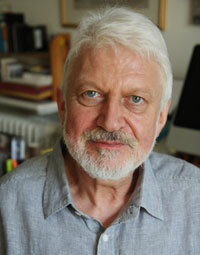 Anton Gill specialises in European contemporary history. Recently, however, he has branched out into historical fiction. His work has been translated and published worldwide and he is the winner of the HH Wingate Award for non-fiction for his study of survivors of the Nazi concentration camps, ‘The Journey Back From Hell’. 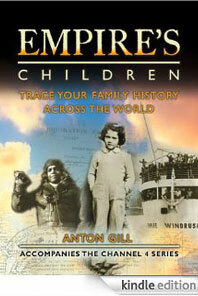 Anton appeared at the festival to discuss Empire’s Children, a book and documentary series that follows six prominent Brits searching for their family roots across the Commonwealth. Along with his earlier book in theWho Do You Think You Are series, Anton is swift becoming a household name amongst the rising tide of amateur genealogists. But in an intensely varied twenty year writing career he’s produced more than 15 books, ranging from contemporary history to crime fiction, and including The Journey Back from Hell: which recorded the personal stories of more than 100 survivors of the Nazi concentration camps.